“Niihama Taiko Matsuri” (Niihama Drum Festival) in Ehime Prefecture is a festival known as the Three Major Fighting Festival in Japan. It was held for 3 days from October 16th to 18th as an annual event to pray for good harvest in autumn and has gained great popularity. “Niihama Taiko Matsuri” is said to be a “man festival” since ancient times, the existence of mikoshi (portable shrine) carrying “Taikodai” (festival car with drum) to dedicate is unique. 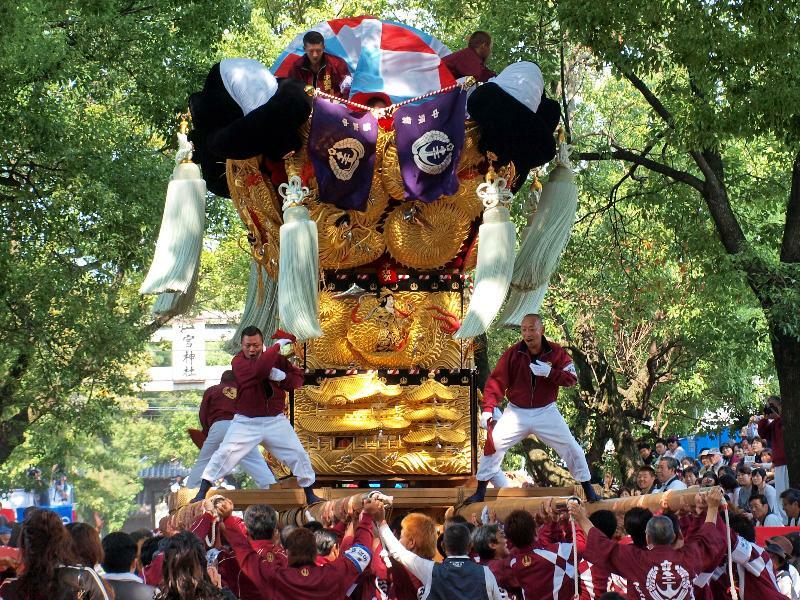 “Taikodai” is a gorgeous and luxurious “Dashi” (float), bearers pull it around and walk around the city, collisions sometimes happen, and the whole of the city turns up. It is said that this festival continues from around the Heian period. Originally, “Taikodai” seemed to be just a float, it seems that it became the main existence with the times and became even more gorgeous. In the festival, 9 districts, a total of 53 Taikodai will participate and walk through the city. 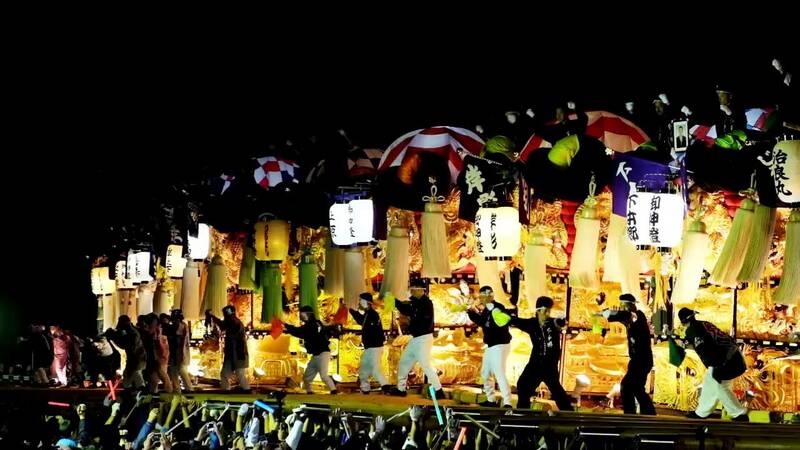 Taikodai is a large festival float with a weight of about 3 tons, a height of 5.5 meters, and a length of 12 meters. Normally wheels are installed and pulled, but sometimes, about 150 of bearers will carry four sticks of this Taikodai. It is very lively with the sound of the drumming echoing from Taikodai, the dance of the conductor drawn on the Taikodai and the whistle, and the bearers wearing traditional Japanese ‘happi’ coats. 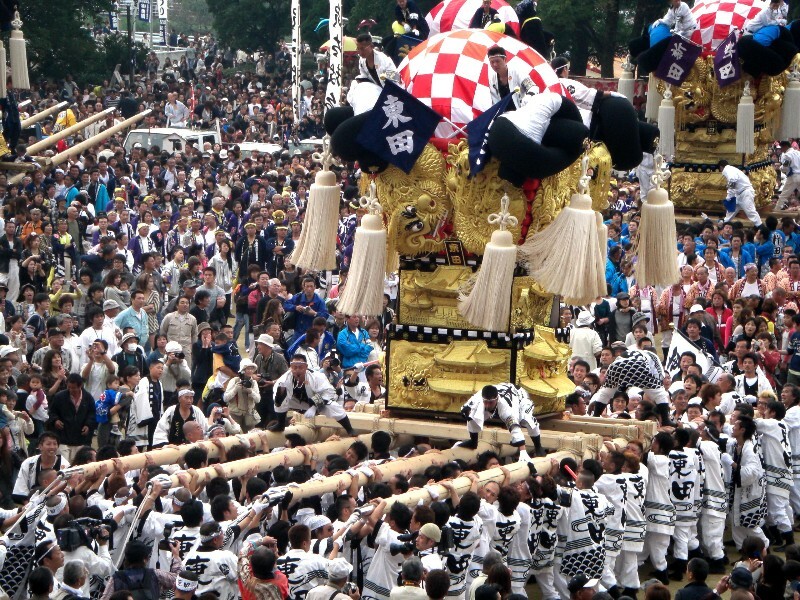 And the biggest highlight is the scene where several Taikodai gather in one place, the tires are removed, and the bearers lift it. Then, they will extend their arms and become like a weightlifting called “Sashiage”. It is a comparison between power, technique and enthusiasm of the men in each district. This series of carry-over comparisons is called “Kakikurabe”. It is a festival that Taikodai, which was best picked up in this “Kakikurabe”, won the championship. During the festival period, “Kakikurabe” is held in various places, and the audience who is watching will unexpectedly filling with strength. This is the most exciting scene. Niihama Taiko Matsuri (Niihama Drum Festival) is an autumn festival held throughout Niihama-shi, Ehime in October every year. 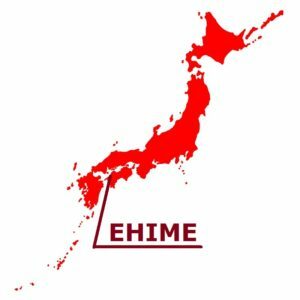 It is known as one of the three major festivals of Shikoku Region with Awa-Odori Festival of Tokushima, and Yosakoi Matsuri Festival of Kochi. 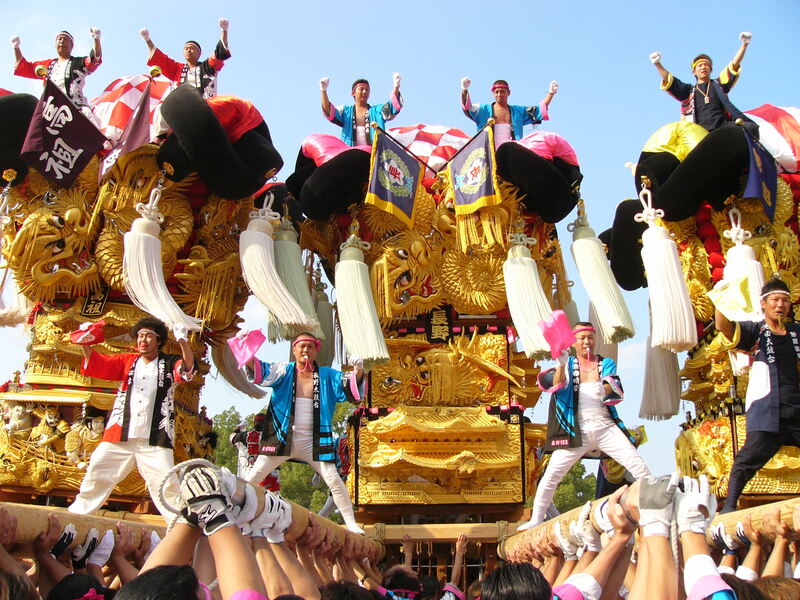 It is the brave and energetic festival which shoulders the gorgeous Mikoshi type float called Taikodai, and parades. Taikodai is formerly called Mikoshi-Taiko, and it is a very huge thing of 5.5 meters in height, 12 meters in length, approximately 3 ton in weight. 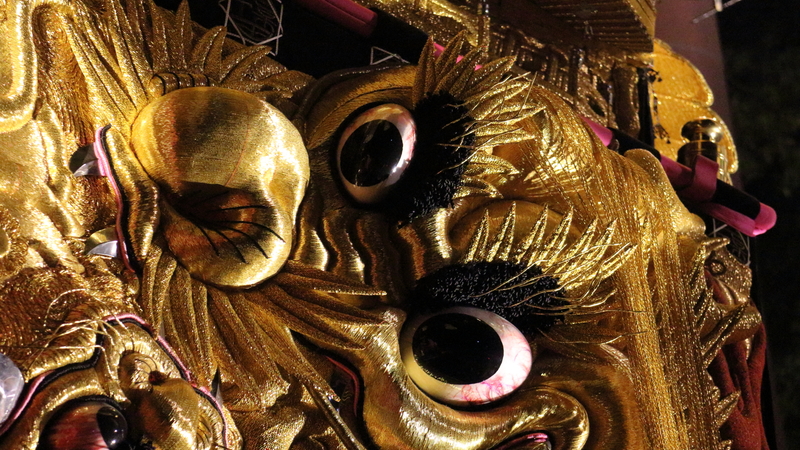 The gorgeous embroidery such as a dragon or the tiger is given with gold thread, and the body is magnificent. In the festival, plural Taikodai gather in one place and compete for the skill. Taikodai is raised at the exquisite signal of a drum. Furthermore, the carriers of Taikodai stretch out both hands called “Sashi Age” and compete for the skill to lift it overhead. They compete for the beauty of the shaking condition of the fringe of Taikodai. Originally, since it is a festival which vies in technique and force, it will become the ego battle if heat goes into a contest of strength too much. Especially, if the Taikodai bump their heads together on a narrow way, there will be a violent crush since they take the wall of them. Niihama Taiko Matsuri is a festival in which the feelings of competition of the area are very strong. Please come to watch the heroic and powerful dynamic Niihama Taiko Matsuri by all means. * Partially charged viewing seats are also available.